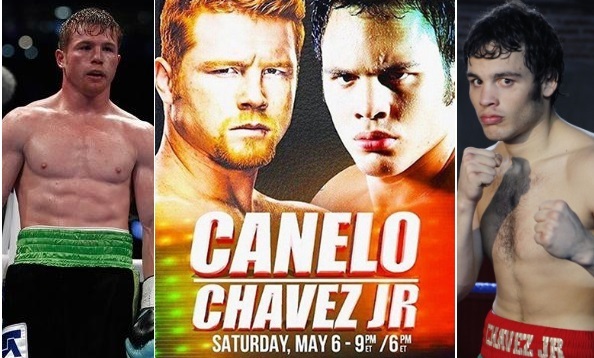 Canelo Alvarez and Julio Chavez Jr are set to meet in what will be a massive all mexican clash on Saturday, 06 May 2017 at the T-mobile arena in Las Vegas. The fight is a huge PPV event not only in native Mexico but also in United States and HBO are hoping to rack in impressive PPV numbers on this one. There will be couple of exciting undercard fights on this one with Lucas Matthysse also set to feature again Emmanuel Taylor. Canelo vs Chavez Jr Purse Payouts: Canelo is a bonafide PPV star and have been producing impressuve PPV numbers since his high profile fight against Floyd Mayweather. However in the last 12 months he failed to take his stock to next level as mooted fight against Gennady Golovkin is not going to happen anytime soon. In comes, another Mexican Julio Chavez Jr and after long hard negotiations the fight was agreed making it the most lucrative of 2017. There will be $25 million worth of purse set to be split between the two where Canelo will take the majority around $18 million (his career best earnings) while Julio Chavez Jr will pocket $7 million from the fight. These numbers depend on estimated US and Mexican PPV sales and we can safely assume this fight is in no danger of under-performing as far as PPVs are concerned. However the disclosed purse for both fighters will be around $8 million for Canelo and $2.5 million for Julio Chavez Jr. The rest of the money comes from PPV shares where Canelo has a tier based PPV contract with HBO and depending on PPV numbers his total earnings from the fight can cross over $18 million with ease.